The Fisherman is a fictional account of the life of the disciple Peter follows his initial resistance to becoming one of Jesus's followers and his witness to the events of the New Testament. The gospels come to life as Peter tells the story of Jesus and the disciples from his point of view. Simon, a fisherman, works hard to provide for his family and dreams about expanding his business. He lives an ordered and predictable life until one fateful day when he meets a man who will change everything. In this spellbinding first-person account of a rugged fisherman turned follower, you'll experience the Gospel story anew through Simon Peter's keen eyes. The miracles, the trial, the tragedy, and the triumph those familiar stories come alive as never before. With sincerity, humor, and faithfulness to the Scriptures, talented author Larry Huntsperger takes you along a gritty spiritual journey you will not soon forget. The Fisherman by Larry Huntsperger was published by Baker Book House USA in July 2011 and is our 14531st best seller. 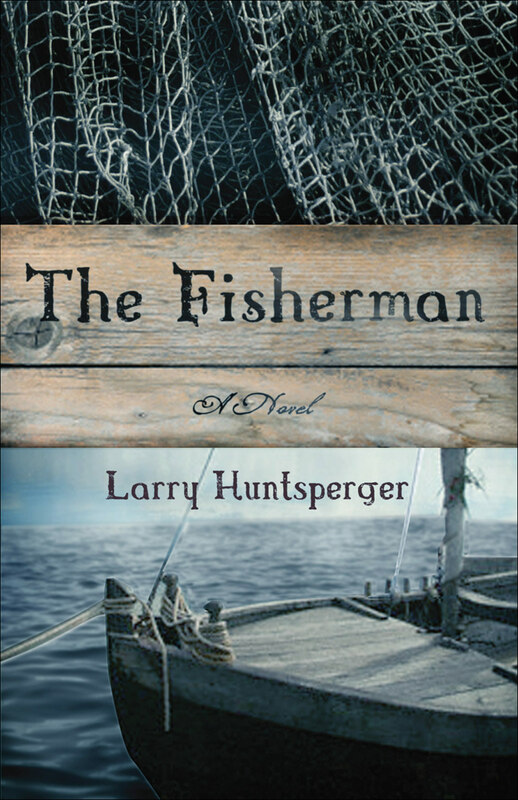 The ISBN for The Fisherman is 9780800758448. A fictionalised retelling of the gospel story through the eyes of Peter, as he tries to correct the misinterpretations and distortions that have grown up between Jesus’ death and his own death, which is imminent. The story begins when his brother, Andrew, first tells him about the prophet from Nazareth and ends in his prison cell as he awaits execution. No liberties are taken with either the actions or the words of Christ, Who speaks straight from the Bible. Everyone else thinks and speaks, sometimes jarringly, as a modern American – the resurrected son of the widow of Nain awakes crying, “Hey Mom, I’m hungry!” I suspect this is done in an attempt to give the story immediacy for the modern reader, as the author’s stated aim is to create a frame through which he hopes his audience “will be able to see history with a new clarity.” Certainly the central message is in no way trivialised or sugar-coated – Simon Peter’s struggles as he finds out what Christ is about and how to relate to Him are the struggles of us all. Very readable. Got a question? No problem! Just click here to ask us about The Fisherman.